In its continuing efforts to purge fake news, conspiracy theories and misinformation campaigns on its platform, social media giant Facebook has just announced its new regulations that will require pages with a ‘large US audience’ to verify their location if they don’t want to be barred from publishing new posts. 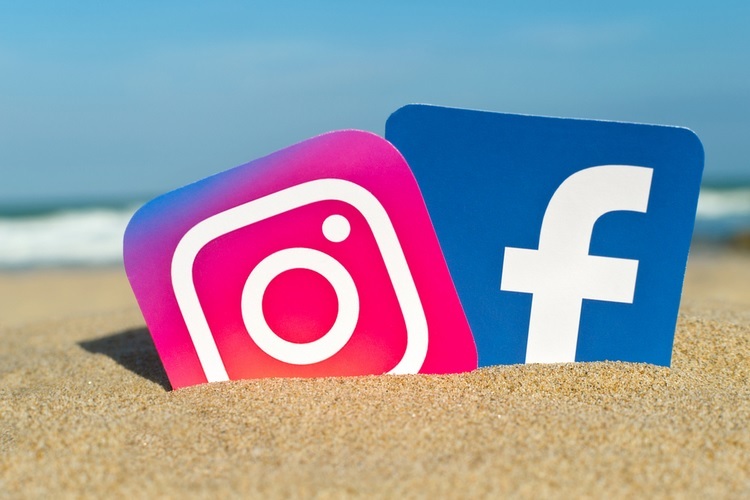 Instagram will also implement similar changes ‘in the coming weeks’, the company said. The new plan will be implemented only for US-oriented pages for now, and the company says it will start notifying affected users from this weekend. Enforcement is expected to follow later this month. There’s no word at the moment on whether the new requirements will be expanded globally in the days ahead. Curiously, Facebook doesn’t say exactly how ‘large’ a page has to be to trigger the new requirement, but we’ll start getting an idea about that as the company starts notifying affected users in the days to come. Admins of such pages will be receive a notice at the top of their News Feed, asking them to complete an authorization process in order to keep posting on their page. 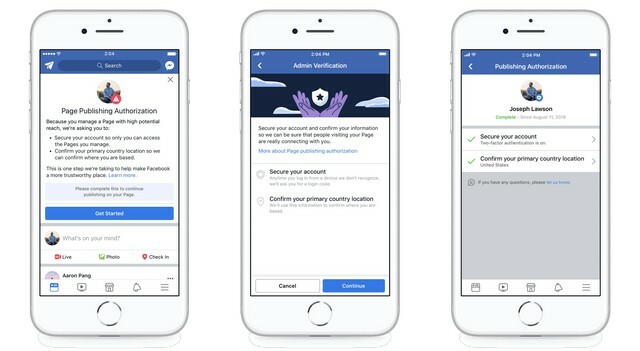 According to Facebook, users will have to take two simple steps to get authorized. Firstly, turn of 2FA (2-factor authentication) for the affected Facebook account, and then, confirm their location or turn on location services on their mobile device. Going forward, Facebook will be providing even more information about Pages to help users determine their authenticity. 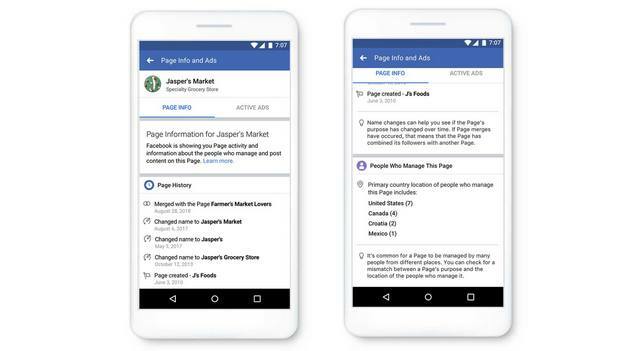 “We’re also adding a section called People Who Manage This Page, which will surface the primary country locations Pages are managed from, initially appearing on Pages with a large US audience”, the company said.